The Tars furthest and biggest event yet! The Tavy Tars went ‘up the line’ as invited performers for three days at the 2011 Bristol Harbour Festival. This festival is impressively colourful, diverse and vivid – Bristol really does itself and its many guests proud. Huge crowds throng the waterfront area to view a wonderful array of ships and boats in the Floating Harbour and to enjoy all manner of entertainments, food and drink. So we had a very good time – and hopefully added to the salty festival flavour! The visit opened on Thursday July 28, with the Tars doing gigs outside the Nova Scotia, Pump House and Cottage Inn waterside pubs. A special moment was outside 'The Pumphouse' watching hot-air balloons floating towards us, suddenly to have 'The Matthew' come into view, gliding through the still water. Then on Friday July 29, the Tars were the musical entertainment at the opening ceremony, held in the impressive new ‘M Shed’ museum. The audience included the Lord Mayor of Bristol, naval officers from visiting HMS Cattestock and various other dignitaries. After this – a real treat! The Tars boarded the wonderful three-masted topsail Schooner, Kathleen and May, and performed from the deck for the crowds outside the adjacent Arnolfini Centre. A familiar sight down at Plymouth’s Barbican back in the 1970s, the beautifully-restored Kathleen and May is now based up in Liverpool, having been ousted, sadly, from her berth at Bideford. The Friday evening closed with a jolly session with Bristol Gig Club in that fascinating haven of shipwrights and other nautical craftsmen, the Underfall Boatyard. Saturday July 30th saw the Harbour Festival in full swing, with huge crowds out in fine weather. The Tars had the great privilege of being the only group to perform aboard Brunel’s famous iron steamship, the Great Britain. We sang first beneath her big red iron propeller, down in the dry dock that now shelters the historic ship (and in which she was built), then did a stint up on deck, before an extended session in the gilded splendour of the First Class Dining Room. After that, we had to make our way over to the other side of the Floating Harbour. Although acoustic evenings at the Olde Plough Inn, Bere Ferrers, have given the Tars experience of closely-packed humanity, at Bristol the merry throng stretched for over half a mile. But getting to our final venue for the weekend was well worthwhile, for we sang on board the ketch Irene, moored outside the Lloyds Amphitheatre. This beautiful sailing vessel, with her gently curving grey hull, has been brought back to life from utter dereliction. She is now a superb credit to her owners and supporters, so it was splendid to be able to sing to a large, appreciative crowd from her deck (we couldn’t resist an impromptu rendering of ‘Goodnight Irene’ before we left!). So Bristol Harbour Festival 2011 was brilliant! A fabulous, colourful event in an impressive city - and plenty of singing, including sessions aboard three great historic ships. 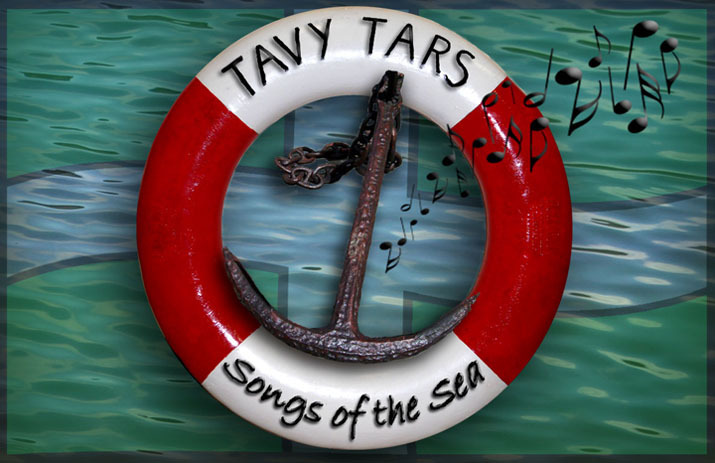 Thanks from the Tars to our talented musicians and musical advisors, Jane Musgrave, Carol Horner and Beth Barnes (the youngest shanty person in the West? ), as well as the ‘Tavy Tarts’ (also known as ‘wives’! ), and our much appreciated travelling fans, Tilly and Marcel Kelly. And Ray’s hat impressed, even if not as tall as Brunel’s. There are pictures taken by our official photographer Carol in our gallery and also some pictures taken by Rowena Sutcliffe in her copyright Photostream here. There is also video on board Irene here.